Construction output here last year fell below 2017 levels, new Government data has shown. 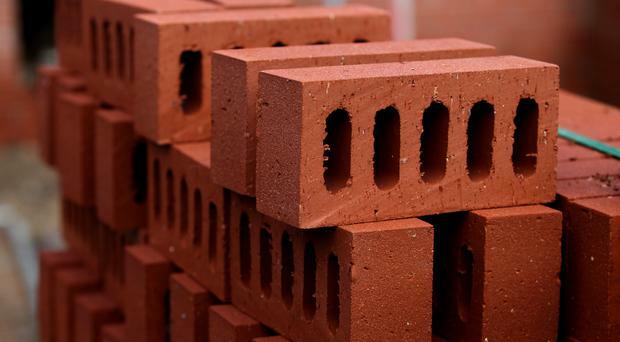 The Northern Ireland Construction Bulletin, the official measure for the industry, showed a 4% drop in output between the third and fourth quarters of 2018, with housing output falling 12%. Overall, the annual construction output was also 1.7% below what it was at the end of 2017. The Northern Ireland Statistics and Research Agency said that despite fluctuations, the volume of construction output here has been on an upward trend since the end of 2013. New work accounted for two-thirds (65.6%) of all construction output in the final three months of 2018, with repair and maintenance making up the other third. Both sectors saw declines in late 2018, with the dip more pronounced in repairs and maintenance. Housing is now the largest construction sub-sector, after overtaking 'other work' midway through last year for the first time since early 2013. It accounted for 37% of all construction output in the fourth quarter of 2018. While still well below historic levels, housing has been steadily improving since the low point of late 2013. However, it suffered a setback at the end of 2018, with output down 12% over the quarter and 1.1% below the same period in 2017. Private projects saw the biggest drop, with public housing the only sub-sector seeing some kind of increase in activity. However, infrastructure output saw a 13.3% spike in activity between the third and fourth quarters. Neal Taylor of business advisory firm Grant Thornton in Belfast said it meant that the volume of infrastructure output had increased by 25.5% compared to the same period in 2017, to reach a five-year high. "Following the much-publicised logjam of local infrastructure projects, and recent announcements that schemes such as the Belfast Transport Hub and Belfast Power Station have been given the green light provide signs that the wheels are starting to turn again," he said. "This provides some positivity for construction against an otherwise uncertain backdrop."